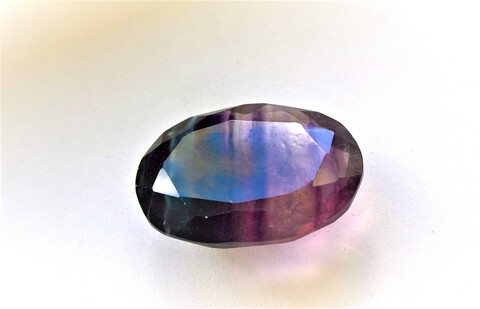 The range of colors shown by fluorite is equaled by few other gemstones. It may occur in beautiful cubic crystals or as a massive crystalline variety displaying banded or radiating patterns. Although the stone is somewhat soft for use as a normal gemstone, it makes a beautiful and very sought after collectors stone that will enhance any connoisseurs collection of gems. Ocurrence: Namibia, U.K., Switzerland, Nigeria, Switzerland, Czechoslovakia, Canada, Poland, Italy, Norway, Germany, U.S.A. The gem bearing pegmatites of Northern Mozambique have been known since the late 1920’s and the mines around the mining center of Alto Ligonha have yielded a wonderful variety of gemstones such as morganite, emerald, aquamarine, deep blue beryl, green tourmalines, rubelite and many others. In 1974 the communist revolution in Portugal resulted in Mozambique gaining its independence from Portugal in the same year. The process of transferring power was badly managed by Portugal with that country literally walking away from Mozambique, leaving the people not adequately prepared to run their newly independent country. Friction developed between rival ethnic groups wanting political power and the end result was a civil war that devastated the country, its infrastructure and the people. The war finally subsided in the early 90’s, and today the country is amongst the poorest in Africa. During the 20 year civil war most mining activity stopped because the small mines were out in the bush and prime targets for attacks by warring factions. In many cases the tropical bush has grown over the small shafts, addits and open cast holes and the whereabouts of the mines are lost-probably forever. It was in the late winter of 1968 that Pedro Rodrigues, as miner operating a tourmaline mine at Muiane near Alto Ligonha, was prospecting for tourmaline in the western part of Mozambique in the foothills of the escarpment leading up to Rhodesia. Although he did not find tourmaline, he did locate a small outcrop of fluorite about 80km from the small village of Garuzo. On the surface, the fluorite was badly weathered, nevertheless it still had potential for sale as a fluxing agent for steel making process, with there being a ready market in the steel mills of RISCO in nearby Rhodesia (now Zimbabwe). The wet summer season was fast approaching with its tropical storms and cyclones that come in from the Mozambique Channel, and Rodrigues knew that he would soon not be able to reach his newly found deposit because of the impassibility of the 4x4 track that he had hacked out of the thick bush for nearly 50km to reach the deposit. He hastily exposed the deposit with dynamite and a few labourers to determine its size. You can imagine his delight when, after the top material had been removed, he discovered that the fluorite was of the excellent quality that he knew could command good prices as an export to nearby Zimbabwe. He selected a small pile of the best material that had been extracted by hand and filled 5 steel drums that he transported down to his base camp near Garuzo. This was to have been shipped to Johannesburg for metallurgical testing. With the tropical storms of early summer approaching, he covered his deposit at the mine with soil to keep it hidden from prying eyes and returned to his tourmaline mine at Muiane in the north of the country. Unfortunately, as happens to so many people living in the bush of Tropical Africa, Rodrigues was bitten by the dreaded anopheles mosquito and contracted malaria during the summer. He died, and with him went the secret location of the fluorite deposit.